Without looking to start a debate about real world religions, how does religion manifest in your story, or conworld? Is it universally regarded as a benefit? Or widely regarded as little more than a gang? What role does it play in your narrative? Well in Vas the gods are known to most mortals as passed down in stories, and most humans pray to them unaware that the gods themselves can't actually do anything about their prayers. Instead there beings that act as intermediaries. For most people there's the [Ancestral Spirits] - the souls/ghosts of their ancestors that refuse to move onto the afterlife. These spirits watch over their descendants and help guide them in life as much as they can, and are often protected from going mad (eventually becoming wraiths and then tormented/damned souls - demons - in the end), but in the end the process takes its toll anyways. No spirit can resist going mad, Ancestral Spirits just are protected from it a lot longer. Then there's the Celestial Presence which are not pure Angels per say, but the collective celestial "Will made Manifest". It is the celestial's desire to protect mortal-kind from the dangers such as the Firstborn (dragons, elementals, beasts). Only those truly devoted to the Light, Order/Law, Life, etc can benefit from the Celestial Presence. Some even as far as trained to be "possessed" by it (Paladins), and this manfiested will gives the Paladins a sliver of divine power. Lastly there are Demonic Entities which are exactly as they sound. Denizens of the Abyss who can whisper and influence mortals (or they try to. Ultimately it's the mortal that makes the decisions). Some Mages attempt to summon these entities for whatever malicious purpose, but it usually (90%+ of the time) fails, and the demons possess the Mage, outright kill them, or escape and cause destruction to the rest of the world/area. There are rare occasions when a demon might help its summoner/contractor(mortals who can somehow thin the veil enough to let demons physically interact with the world from the Abyss). Usually this only happens if the demon's desires coincide with the summoner's/contractor's. While I love the amount of development that represents, I meant more on a cultural level, not just "Do you have gods, and spirits conforming to traditional religious structures parallel to our own experience". Let's agree on some terms and ideas going forward to make this easier on everyone. What follows are questions you don't have to answer in order, or directly, but which are designed to get you thinking about your world. So: We'll start by defining "belief system". For the purposes of our discussion, a belief system is the view held by the peoples inhabiting your world regarding the forces around them -- be they forces of nature, or forces of higher life-forms they don't properly understand. The belief system describes the terms your people use to define their world, and need not be based on the reality of your god, gods, or absence of either. A belief system, in this case, does not refer to the presence or absence of god forces, but rather refers exclusively to the perspective of your people (mortals or immortals), and how that affects and enriches your world and their experiences. How does a belief system in your world affect the people? -- A belief system can heavily influence the people, whether as individuals, or as masses. Belief systems can describe the world in a way contemporary science and understanding may not, which can provide a sense of security, or a sense of helplessness. Viking culture took adversity as challenges from their gods -- proof they could not be defeated even by the power of the gods, or reason to strive harder. While the Greeks painted petty disagreements between their all-too-mortal celestials to justify their own petty natures. How a population views their gods can have a huge impact on the development of society, behaviors, and social morays. How important is faith to the social structures and behaviors of your cultures? -- We see easily within a single class of religion in the real world, such as Christianity, a huge divergence, not only between fundamental beliefs, but moral codes, behavioral codes, and religious practices. Some communities are more fundamental and strict than others, enforcing social codes that cannot be broken without severe repercussions within the community, whether or not that behavior, itself, is objectionable. Other communities are lax in behavioral codes, as long as particular observances are met. How does belief in a god or gods -- and the practices spawned around them-- affect the people in your communities? How do the church bodies behave, and how are they regarded by the people? -- The followers of the Westboro Baptist Church do not behave the same way members of the Catholic church behave, and each church is regarded differently by communities around the world. Smaller, newer religious movements have more local, homegrown perceptions, while a body like the Catholic church has a sense of grandeur and permanence. Some churches believe it is their responsibility to reach out to the community to preach their Word, and convert others to their path, while other churches believe it is up to each individual to walk their own path. Where do your biggest religious movements fall in all this? How important are these social elements to your narrative? -- In some stories, religion and beliefs have little to no importance in the story. The world was created, people believe things, but overall their opinions have little to do with the story you're creating. For other stories, it's all about the affect belief has on the people and the protagonist. Does your narrative explore the social exclusion of not participating in the region's major religion? 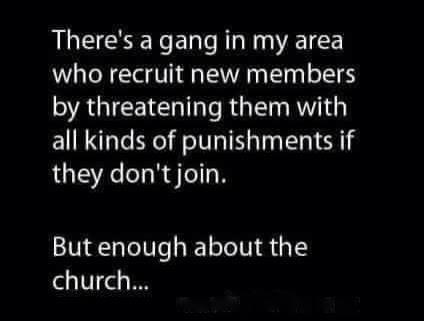 Persecution? Acceptance? How large a role do the social aspects of religion play in your story? Q. How does a belief system in your world affect the people? A. When people are afraid, believing in something comforts them to a degree (and if their prayers fail, they lose faith ... or are dead from whatever they're praying for protection from), or else they think whatever miracle that got them through such hardships was the results of the gods answering their prayer. Some faiths (whether entire religions -- like the Ven who worship Ladrae -- or separate sects of the same religion) impose their views on others and cause suspicion, fear, and doubt among each other. Q. How important is faith to the social structures and behaviors of your cultures? A. The importance differs from kingdom to kingdom, as the larger churches (like the one in the imperial capital Skyvaal which is partially a theocracy) tend to apply more restrictions, laws, and expectations of its people to adhere to their code, their faith, and are uninviting of other faiths. The smaller kingdoms and even individual settlements not part of any sovereignty are tight little communities with a lot more freedoms and friendlier demeanor. Then there are other small communities which are more private about their faith (often because they are worshiping one-or more- of the "darker" deities) and distrust strangers/outsiders. Q. How do the church bodies behave, and how are they regarded by the people? A. The most extreme church body is the one from "The Government" a militaristic/theocracy seated in the former imperial city Skyvaal. They enforce their views that "magic is evil, and if you use it you are also evil". They'll go at lengths to enforce their authority (even if it means overstepping their bounds just to show that they're in control) which puts the citizens of their sovereignty into fear and submission. The people once feeling safe behind city walls now afraid of their own church, won't (or can't?) rise against this opposing force because of the militaristic, political, and financial support from The Government itself. Other churches of the human race are independent gaining support from the local populace due to the high favor they hold toward their local churches. This favor is gained from the free services and sermons the churches perform, most of everything (the buildings, furniture, altar, provided materials, etc.) are all volunteered and constructed by the town/cities themselves -- like say by the local carpenter might volunteer some of his wood, a mason might bring stone, and so on -- so this also helps reinforce the local church's community being closer that they have something they made and are apart of together. Other races such as the Ven (elves) don't hold the same values in meeting places as the humans, but do come together in gatherings, and often hold no view (opposing or otherwise) on other cultures. The Ven hold their religious views inward and never express them. They view it as an insult to bring their goddess's affairs unto others without her direct permission. Most of them even view the same way of others attempting to convert or invite them to the human's religion, but because of the Peace Treaty, the Ven attempt to be polite by refusing. Draconians hold monthly services under cloudy night skies with a burning fire, roaring and breathing fire to the sky to praise their Dragon Lord (Drakgar). Their sermons often involve in stories passed down from their ancestors, not always about the pureblooded Dragons themselves, but they could be "My father made contact with humans once.." tale. Personal stories pretty much. This became a tradition among their tribes. Q. How important are these social elements to your narrative? But then again as this world is more and more being developed for an open world play for tabletop RPGs and stuff, I suppose it could be open to debate Maybe a player's character is purely motivated through such elements? How important is faith to the social structures and behaviors of your cultures? -- Quite important, though each Guardian seems to be specific to each subset that matches their element. Each element sect has a set of guidelines that range in severity from just guidelines to hard and solid laws depending on where you go. How do the church bodies behave, and how are they regarded by the people? -- There are no set churches, just seven temples that have a Vessel that maintains and operates it. The people regard these temples as sacred, and treat the Vessels from anything between just legends to outright gods. Although Darkness has the worst PR just by its nature of being darkness (although that element is NOT inherently evil.). As such that Temple is barely visited by anyone except by other Darkness types. How does a belief system in your world affect the people? -- Being like a pseudo-magical AU of our own Earth, it's identical to Earth's save for Heaven and Hell being real (but not quite how Judaism/Christianity depicts it.). How important is faith to the social structures and behaviors of your cultures? -- Quite similar to Earth as well, except the religions for the Demons (In appearance only, they're just another race of human...sorta) is much more important. How do the church bodies behave, and how are they regarded by the people? -- Saaaame as Earth, but the Demon ones don't really have churches...it's more like mass festivitites. How important are these social elements to your narrative? -- Not that horribly important, but it's caused many stirs in the past and is a driving force for a few characters.